The pier at Inveraray. The tall masted ship is the Arctic Penguin, the small puffer at the back was originally called "Eilean Easdale", which means Isle of Easdale, it was renamed "Vital Spark" after the Inveraray writer Neil Munro's fictional puffer. 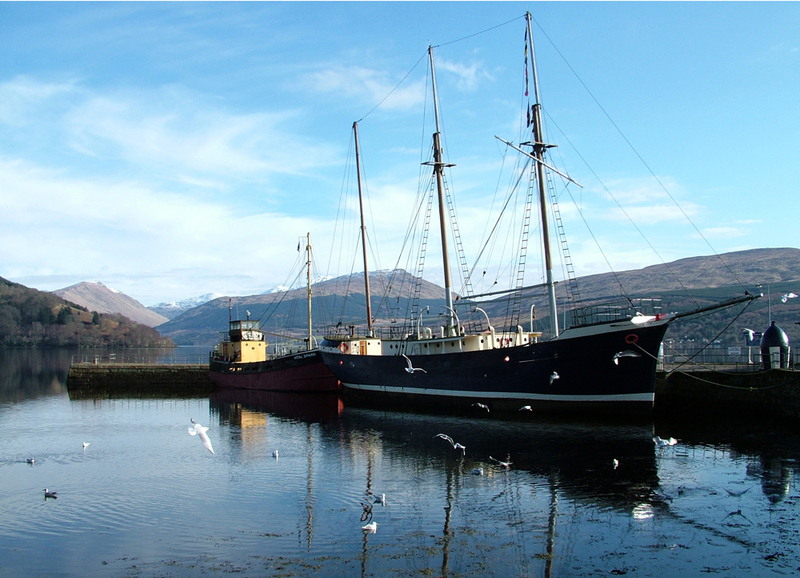 Both boats are part of the Inveraray Maritime Experience Museum.